Organic Farm Retreat! 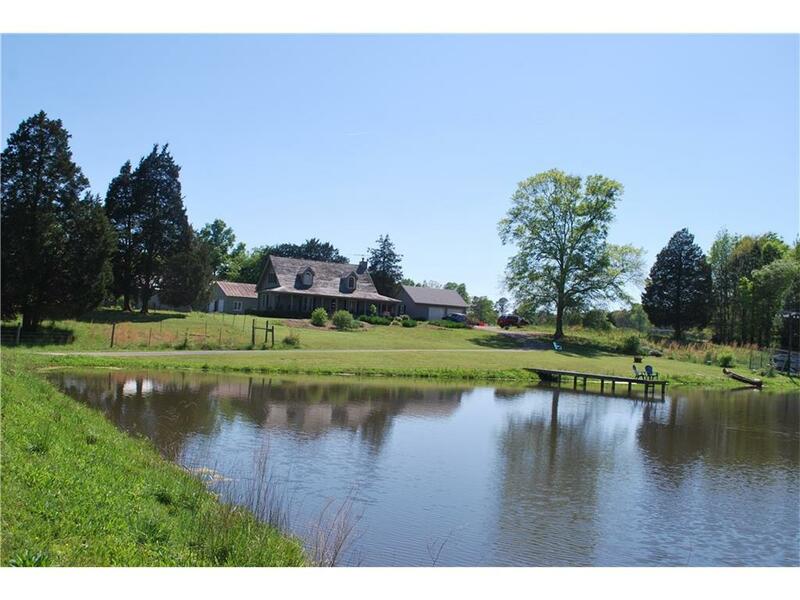 Orchard, raised bed gardens, stocked lake, livestock and hay producing pastures. Lovely cape cod style home w wrap porch overlooking beautiful lake at the front of the property w gated entry. Pottery barn casual chic interiors offer hardwood flooring, exposed beams, wood stove and open kitchen w breakfast bar. Spacious bedrooms on main w Master suite up w adjoining art studio/loft. Fabulous wrap porch complete w porch swing to take in the scene! Separate workshop bldg and livestock barn. Convenient to City of Rome, Berry College, Darlington Prep. Listings identified with the FMLS IDX logo come from FMLS, are held by brokerage firms other than the owner of this website and the listing brokerage is identified in any listing details. Information is deemed reliable but is not guaranteed. If you believe any FMLS listing contains material that infringes your copyrighted work, please click here to review our DMCA policy and learn how to submit a takedown request. © 2019 First Multiple Listing Service, Inc. For issues regarding this listing search engine, please contact iHOUSEweb Inc., at support@ihouseweb.com or 1-866-645-7700, and please state you are referring to an FMLS IDX website. Data Last Updated 2019-04-19 09:47:46.